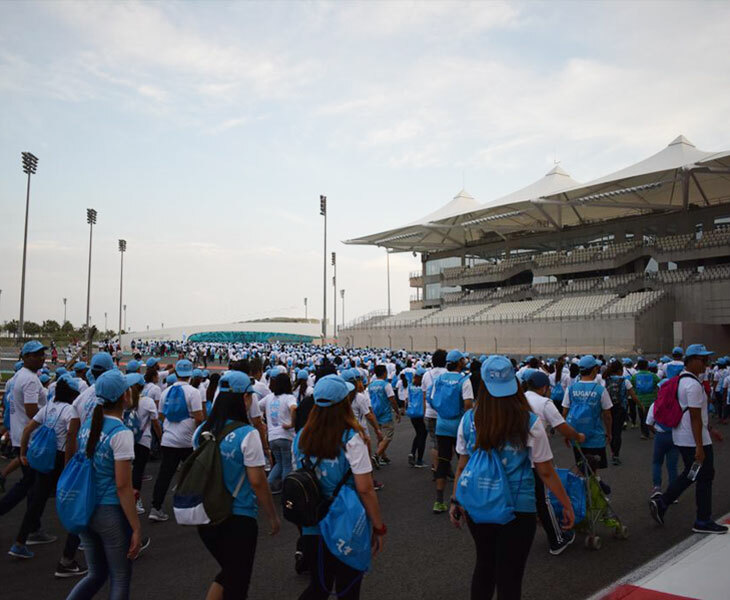 The event held from 5:00 PM onwards, was aimed at educating people about diabetes and promoting a healthier lifestyle among the residents of the UAE. The staff members of Manzil Healthcare were dressed in blue with diaBEAThis printed on their shirts, as part of the initiative to spread awareness. In its continued efforts to raise awareness about diabetes, Manzil Healthcare Services hosted various activities across its centers. BLUEVEMBER or Blue November was the theme of the Diabetes Awareness Month. The staff at Manzil Healthcare were dressed in blue on all Thursdays of the month including 14th November â€“ the World Diabetes Day. The center had also set up a photo booth on that day, giving them an opportunity to take a selfie and share it on their social media pages to pledge their support for the fight against diabetes. Manzil Healthcare also raised awareness about diabetes through social media across its Facebook, Instagram, LinkedIn and Twitter accounts. It encouraged people to write Hope on their hands and share it on social media under the hashtag # EachOneScreenOne a campaign focused on promoting each person to be screened and encouraging friends or family to be screened. The cut-outs of Blue Circle, the global symbol of solidarity and support for Diabetes awareness, and Blue balloons were also hung up at all the offices of Manzil across the GCC to spread awareness of screening and early detection. Manzil Healthcare Services, with a team of highly qualified physicians, nurses and therapists, offers disease management programs for Diabetes. Manzils Diabetes Management Program provides education and support to patients with diabetes and helps them reduce short and long-term complications. Manzils comprehensive program relies on evidence-based guidelines to help improve patients health outcomes and quality of life.